Counting Scales can save you and your employees a lot of time. 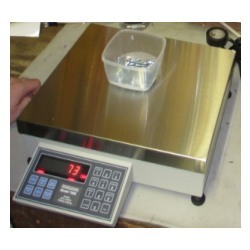 These electronic scales can virtually eliminate human error and boredom from counting parts out by hand. Of course, we know that you have choices when it comes to buying counting scales. If you're looking for a long term solution that you can rely on for years, then you really need to consider the Pennsylvania 7600 counting scale. If there ever was such a thing as an "industrial" counting scale, then this has to be the choice. The 7600 is made in America at the Pennsylvania Scale Company in Lancaster and features an easy to read bright red display. The construction is impressive. You won't see a bunch of plastic on this scale! In fact, customers prefer this scale over the mostly plastic import models because it is built tough and lasts. Even the packaging from the factory is impressive... a form fitting custom foam insert that protects the scale during transit to you. Central Carolina Scale is an authorized Pennsylvania Scale Distributor and we not only sell the products but we also calibrate and repair them. All Pennsylvania Scale counting scales feature heavy duty cast construction, premium load cell, and bright LED display. The 7600 features a numeric keypad. For simple four button operation, see the 7500 counting scale. Accurate and reliable in a wide range of applications. Full numeric keyboard. Simplified, one button counting. Automatic Sample Update. Weight displayed in 2 units of measure plus count. Utilizing the PLUS+ series Main Board technology, these products are designed to be user-friendly and highly productive, provide long accurate service. Pennsylvania Counting and Weighing scales and indicators are intentionally clean by design. These 7000 Series products feature 1:16 million internal counts, with 10,000 displayed weight graduations. Programmable data outputs, One button operation plus enhanced features for better accuracy, Sample Update™ sample enhancement feature, and are built with rugged cast construction. The 7600 Counting Scale is made in USA, ship NAFTA Free Trade to Mexico and Canada. Available as Bench Counting Scales or as Digital Indicators. Large platforms: 12 x 14" SS for capacities 10, 20, 25, 50, 100, 150 and 200 lbs, while 8 x 8" for highly sensitive 2 and 5 lbs capacity models. 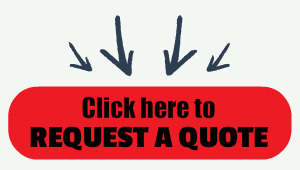 The 4 Year Limited Manufacturer Warranties - the best in the business. AC/DC Operation -- 30+ hours use with integrated recharging and HD power cord; functions as a U.P.S.